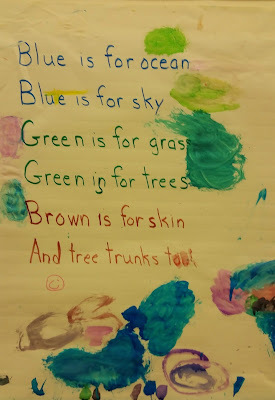 Students - I wrote today's puppet poem for a purpose. (Now there's some alliteration...) I was visiting a kindergarten class, and I wanted a puppet poem. 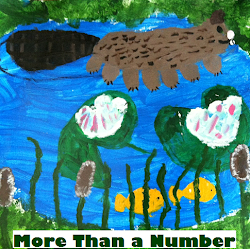 So...I wrote one! Sometimes there are occasions or moments in life where we are looking for words and are might not be able to find the exact words we seek. Then it's time to pull out our pencils and write something new. 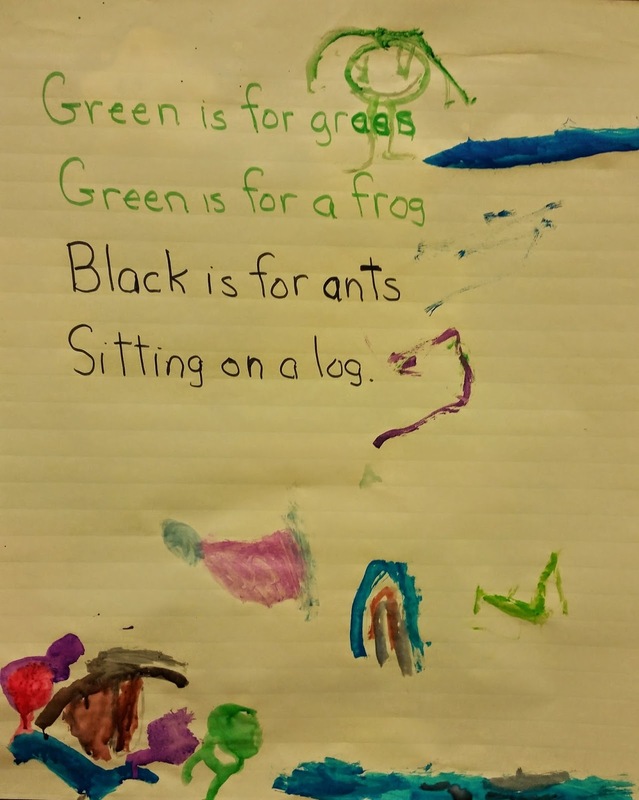 And now for a Poetry Peek! Yesterday I was fortunate to visit Nancy Johnstone's and Marilyn Delucia's kindergarten classes as part of the extended day program with Mercier Literacy for Children at Dr. Martin Luther King Jr. School #9, the school where I student taught in 1992. 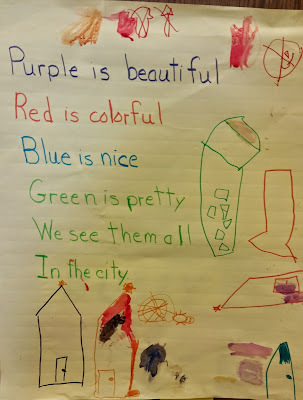 We had a few adults working together with children in poetry centers, and I am still smiling to think about it. 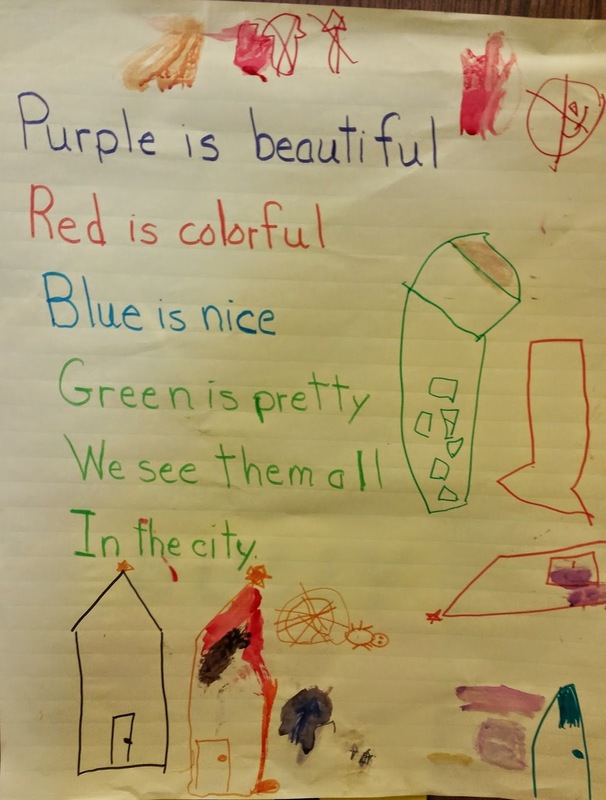 In Center One, children made the paper bag puppets you see above and recited the silly poem. In Center Two, children read poetry books together from a suitcase full of books. In Center Three, children made up poems and shared them orally in the voices of fuzzy puppets. 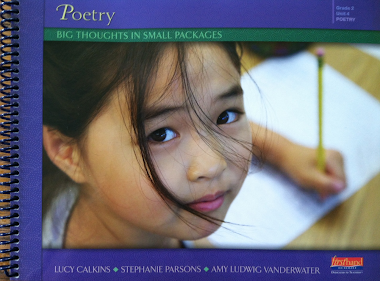 And in Center Four, children wrote poems together with teacher Nancy Johnstone. Today they will be reading these group poems (I typed them) and painting their own individual color poem books. 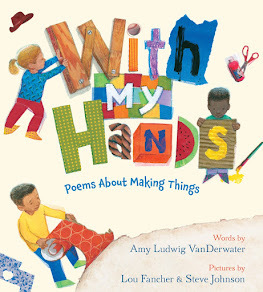 Enjoy reading these delightful images and playful color poems illustrated in watercolors. Thank you very much to Nancy for inviting me to join her for an afternoon of poetry and time with these beautiful children. It was a delight! 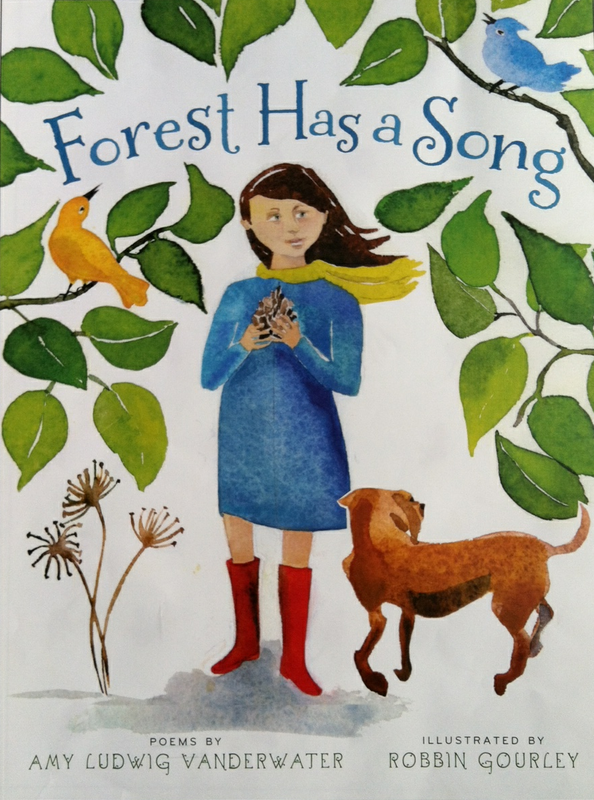 There is still a giveaway going on at last Friday's post. If you're interested in winning a copy of Barry Lane's great CD, FORCE FIELD FOR GOOD, head on over to Friday's post and leave comment to be entered into Friday's drawing. So cool! 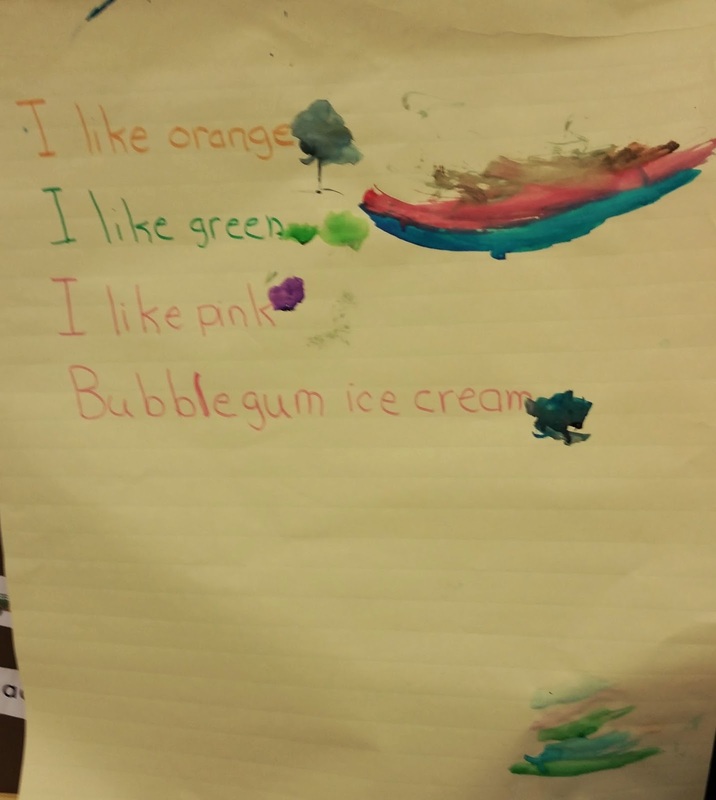 Children's poetry in 4 different places. Love their work! The students created beautiful poetry and art. Refrigerator posting quality! I'm so glad your experience was so much fun! 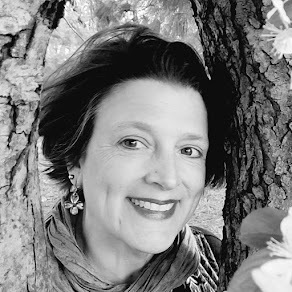 It must have been extra special to return to a school where you share a personal connection. 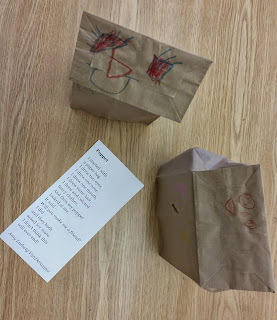 I love these paper bag puppets, as well as the accompanying poem. What fun the children must've had!